Here, a @UKLabour MP praises a notorious conspiracist who says meeting Bashar al-#Assad was her "proudest" moment. She's justified incendiary weapons & barrel bombs on civilian targets; suggested 9/11 was a false flag; Zionists rule #France & the #CharlieHebdo attack was fake. 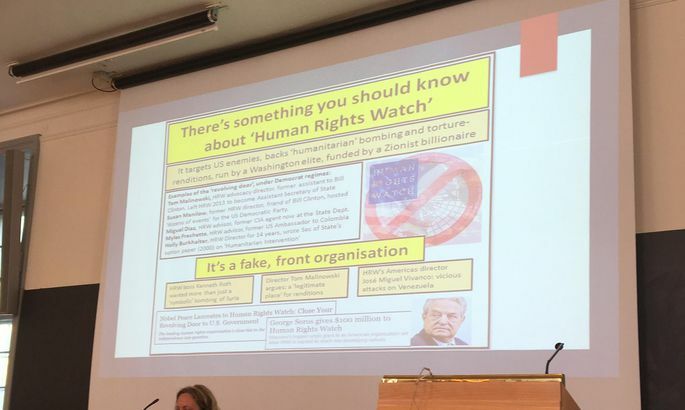 @UKLabour @UU_University @hrw @guardian #pts: Worse still, the @UU_University course coordinator, “Greg Simons” repeatedly defended Beeley & grew hostile towards critical students. His pre-course assignment was to look for propaganda surrounding the #Douma CW attack. His sources included #Syria & #Russia state media. There is a possibility of an announcement today. That’s if the collective U.S. government is unable to push back against #Trump - as it did earlier in the year after his comments in #Ohio. More than anything, this is an extraordinary insult to the recent efforts of Amb. Jeffrey. #pt: #Trump told #Turkey’s #Erdogan of his intentions by phone on Friday last week. Coming in the context of Turkish threats to intervene in NE #Syria, the message to the #YPG/#SDF couldn’t be any worse. The US will abandon “the Kurds” again, if #Trump gets his way here. #pt: Worse still, this’ll be music to the ears of #ISIS, #Assad, #Russia & #Iran. #Trump isn’t only doing what #Obama did in leaving #Iraq prematurely, he’s doing it in an environment in which #America’s adversaries will benefit: jihadis, #Iran and #Russia. My goodness: here's a prime example of policy advocacy on #Syria based either on ignorance, or [hopefully not] malign intent. This is *riddled* with inaccuracy & misinformation. @steelejourno #pt: @steelejourno says the US, UK & #France are “less honorable” in seeking to delay #Syria & #Russia’s “success” in regaining territory. - They seek to enable a meaningful political process, in which there’s an opposition entity to sit at the table. I’d say that is honorable. @steelejourno #pt: Here, @steelejourno says UK, US, France & "Gulf Arab monarchies” want ceasefires to protect rebels, not civilians. 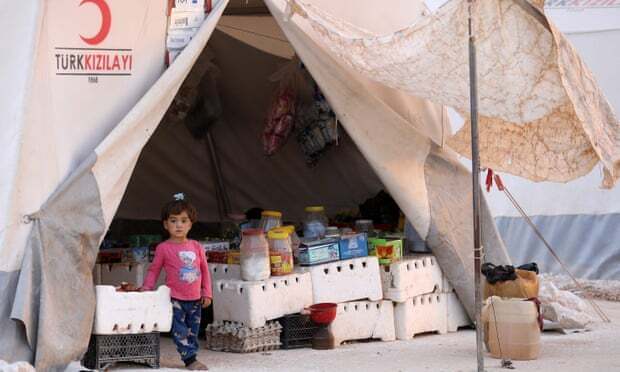 In #Idlib, nothing could be further from the truth. None of those countries have *any* ties to rebel groups in #Idlib, who only equal ~0.5% of the population. #Syria’s air defense systems have no way to determine “friend” from “foe.” #Russia doesn’t export that tech. #Israel says #Syria’s air defense fired “dozens” of anti-aircraft missiles from several batteries across the country over the space of 40-mins… *after* #IAF planes had returned to #Israel. 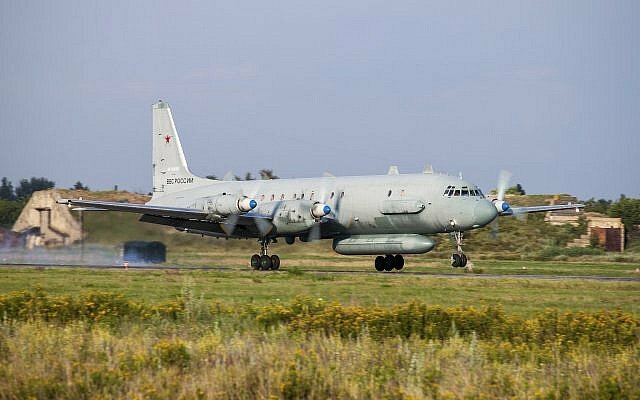 One took down #Russia’s IL-20. - S-300s already deployed in #Syria. - #Russia has been “jamming” for 2+ yrs. - #Israel fires most from Med. 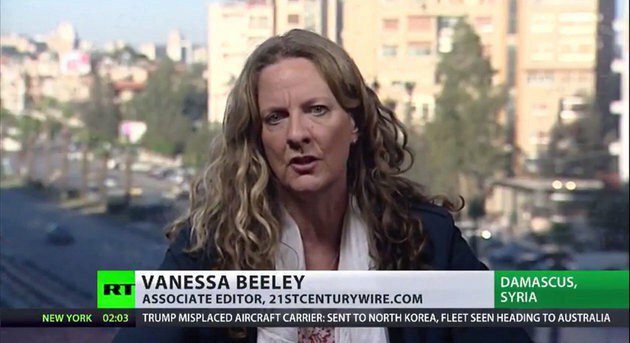 1 - "Dear Ms Beeley – Do you believe that the alleged chemical attack in Douma was staged, a “false flag” event, or was faked?"